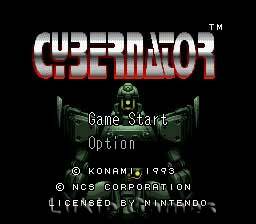 Cybernator SNES Super Nintendo Game Cartridge Cleaned Tested and Guaranteed to Work! 2065 AD. The nations of Earth have once again split into two major powers. The line dividing these new arch enemies reaches as far as the lunar frontier, where axis forces have constructed a moon base capable of launching monolithic intergalactic battle cruisers. 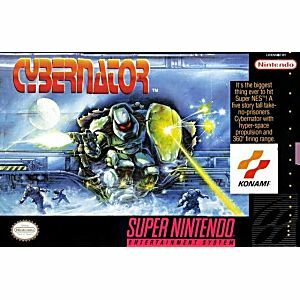 Your mission is to take command of the Cybernator and confront the most powerful enemy ever to explode onto the Super NES scene. You'll face an awesome display of graphic destruction and realistic carnage so intense you'll feel compelled to run and hide. The sound effects alone will make your guts shake as if they were in front of a cranked-up heavy metal concert speaker. Fast shipping and great condition. 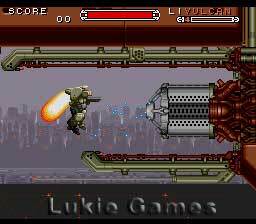 Great game of the run and gun side scrolling variety. A awesome underrated classic. Also Moblie suites. I mean come on, get it. 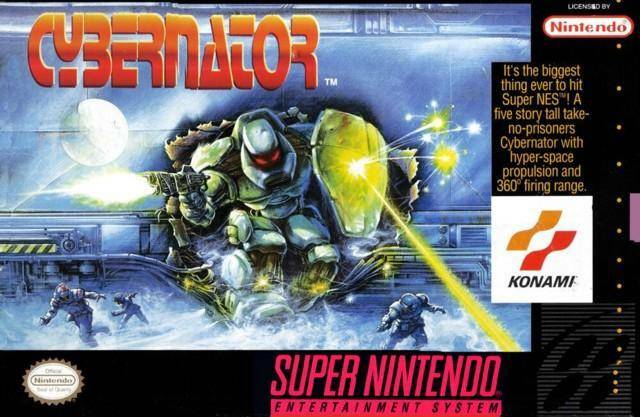 A sequel to Target Earth and a hard game to master but super great once you get it. Game I ordered was in great condition and worked right away. This is an awesome game.